Part 1 of a four part pin set for the first 240 flyers. 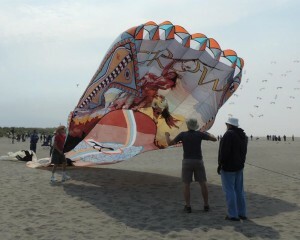 All sport kite events are subject to change based on the weather and which individuals have registered. So, there may be changes to this schedule. Check in the Registration Tent for the final schedule or listen for the announcements. 30 largest pin collections will be awarded a pin. Must be 14 years old or younger. Contestants will provide their own kite. The event may be modified or cancelled depending on the wind and / or weather. Listen for announcements or check at the Registration Tent. Three compulsory figures will be flown: a square, circle, and vertical figure eight. The Rev Invitational was created to encourage Rev flyers at every level to get involved in a fun, creative, and friendly way. Your factory Rev is your invitation. No homemade, or knock-offs. Each entrant receives 20 Rev Bucks for joining in. It’s all about having Fun, Pleasing the Crowd, being Creative, showing Personality and flying with a bit of Rev Control. 10 points will be possible for each category. Group #1 ñ Flyers with 2 years or less Rev experience. 1 round only. This group flies for 1.5 to 2 minutes each. Top 3 flyers in points win First place: $50, 2nd Place: $25, and 3rd place: $10. Group #2 ñ 2+ years of Rev Experience. This group, depending on the number of entrants, is 2 rounds. round 1 –all entrants fly for a max 2 minutes each. The top 10 will advance to the Final Round on Sunday. Part 2 of a four part pin set for the first 240 flyers. This is an event you won’t want to miss. Single line, dual line and quad line flyers put their flying to a real test. In other sport kite competitions flyers have practiced their routines to music of their own choosing. In this event flyers will not know what song they will be flying to until the music starts. This usually leads to creative adaptations that are a favorite among the flyers and the audience alike. All songs will be 2-4 minutes in length. A variety of music will be presented. The contestants flight order will be determined by random draw. With a few exceptions rules from the AKA rulebook will be followed. Choreography: How well the flier performs to the music. Technical: The variety and difficulty of the maneuvers performed and how well they are executed. Response: How well the flier “wows” the audience. Make some noise for your favorite performances. NO Flyers ARE ALLOWED IN FIELD B DUE TO THE FIREWORKS. 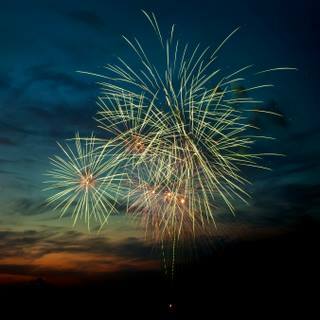 ALL VEHICLES AND PEOPLE MUST BE CLEAR OF THE FIELDS A & B BEFORE THE FIREWORKS CAN BE DETONATED.